Jurgen Braehmer is now "full" WBO light heavy champion as Zsolt Erdei has relinquished the title to go for the WBC cruiser crown against Giacobbe Fragomeni November 21 in Kiel. Braehmer, who won the interim title in August, makes his first defence December 19 in his adopted hometown of Schwerin against Russian Dmitry Sukhotsky, 14-0, ranked # 10 by the WBO and WBO European champ, but a rather untested force. Former European welter champ "Sugar" Jackson Osei Bonsu returned to action Wednesday night in Deurne and stopped Domingos Nascimento Monteiro in two and looked, according to reports, as strong as ever. Jackson will continue his way back early next year. "Sugar" was near a shot at the WBC title last year when he lost to Rafael Jackiewicz. 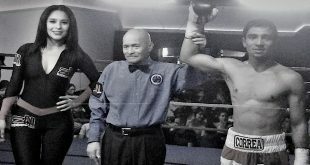 He then beat Carlos Baldomir but lost in a war of a fight to Selcuk Aydin this past summer. Former European Union junior light champ Devis Boschiero has been taken into custody by Italian police for suspected dealing of cocaine. Media reports indicate that Boschiero was in possession of 15 grams of cocaine and 14,000 EUR in cash when arrested. Boschiero is as of right now co-challenger for the vacant European title along with Leva Kirakosyan. 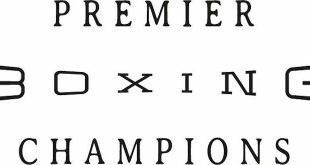 Polish cruiser Krzysztof Wlodarczyk faces Bulgarian Konstantin Semerdiev November 27 in Elk on the undercard to the Rafael Jackiewicz- vs. Delvin Rodriguez IBF welter eliminator. Wlodarczyk is next for the winner of Fragomeni vs Erdei. Also on the bill is Thomas Hutkowski vs Ivica Bacurin in a WBC Youth fight, also at cruiser. 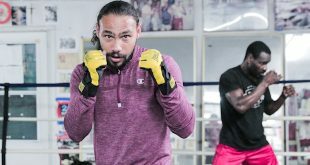 French heavy champ Gregory Tony, 12-0, and a sparring partner for David Haye recently, faces Croatian spoiler Ivica Perkovic December 5 in Dombasle with the vacant WBC Mediterranean title at stake. Spanish junior bantam Ivan Pozo fights Mexican Oscar Ibarra December 4 in Bouzas, Spain, in what is billed as a WBO eliminator. Pozo is # 1 in the WBO ratings but has been inactive since January with a number of fights falling through for one reason or another during 2009. The proposed all-Norwegian fight between Andreas Evensen and Reidar Walstad is off before it was even officially on. 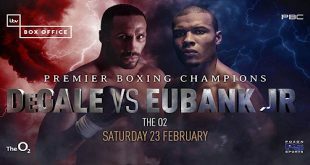 Walstad opts for a possible chance against European super bantam ruler Rendall Munroe - a long shot indeed as Munroe has a dangerous defence coming up against Simone Maludrottu. Evensen will now most likely take on Hungarian Istvan Nagy November 27 in Tampere, Finland. "The Nordic Nightmare", Finnish-Swedish 10-0 heavyweight prospect Robert Helenius is sidelined with a hand injury after his TKO in four win over Taras Bidenko Saturday night in Nuremberg. This means his December 5 fight against former WBO champ Lamon Brewster is off. Taking Robert´s place is European Union champ Francesco Pianeta. It´s fair to say that Brewster´s chances of winning have increased in what is a sink or swim fight for him as Pianeta is an erratic performer who has a lot of talent but tends to blow hot and cold. Romain Jacob and Mohamed Benbiou clash for the vacant French junior lightweight title December 11 in Calais in a classic prospect vs veteran matchup. South African sports columnist David Isaacson tells his readers to forget the World Boxing "Farce" and reminds his readers of how the "old" World Boxing Federation was shut down to be resurrected as the World Boxing Foundation. Now some people have resurrected the WBFederation with the WBFoundation still functioning.